Imagine at night, seeing a stranger in the shadows. You ask who it is but there’s no answer. They run toward you and press their face on the window. It’s your face but harder, scarred and angry. It is who you would have been if born poor or in a war zone. How would you react if that other “you” came back for the life they should have had? In Jordan Peele’s latest film, Us, doppelgängers represent the repressed side of the “American Dream.” Critics have praised Peele for his craftsmanship, Hollywood homages and rich political subtext. What they miss is the film’s conservatism. Us is a Black, middle-class guilt trip, and the catharsis it gives the audience comes at a price. The terror in Us is not the pain of the “American Dream,” but the terror of not maintaining it. Us begins with text, saying under the United States are “thousands of miles of abandoned tunnels and mineshafts.” In the next scene, a family strolls through a carnival on the Santa Cruz beach. While dad is busy winning a game, his daughter Adelaide (a shy Madison Curry) strays into a house of mirrors. She descends into its dark rooms, sees her reflection; it smiles evilly and grabs her. The conflict driving Us is that doppelgängers, grotesque doubles called the “Tethered,” live underground and mime the lives of those above. The government made clones, telepathically linked to citizens to control the public but the experiment failed and the clones were abandoned. Unable to think, they toil away like desperate shadows, “tethered” to those on the surface. And they hunger to be free. 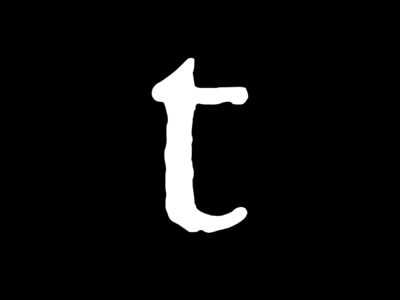 The Tethered are the U.S.’s repressed memory. Us is a neo-Freudian drama, where Adelaide’s childhood trauma symbolizes the nation’s racial and class trauma — both are repressed, build pressure and erupt to the surface. Peele uses horror film aesthetics to translate this return of the repressed in masterful sequences of feint and foreshadowing. The plot spirals inward like a repetition compulsion as an older married Adelaide Wilson (played with ferocity by Lupita Nyong’o) returns to Santa Cruz to vacation with her middle-class family. Reluctantly, she goes with her kids, Zora (a convincing performance by Shahadi Wright Joseph) and Jason (savvy Evan Alex) and husband, Gabriel (a humorous Winston Duke) to the beach, but when they come home, a strange family, shrouded in shadows stands in the driveway. Here Peele invokes themes of Black art to layer the film’s neo-Freudian drama with a political subtext. He uses W.E.B. Du Bois’s double-consciousness from The Souls of Black Folk, where he wrote how Black consciousness in a white supremacist society is painfully aware of stereotypes being projected because we are “looking at oneself through eyes of others.” So when Gabriel tries to scare the strangers off, they break in and force the “real” family to see their racial doppelgängers. Dressed in red prison jumpsuits, the Tethered are Black caricatures of the Wilsons. Gabriel’s double is a brute. Jason and Zora, evil pickaninnies. Adelaide, a prison Sapphire. They are the lower-class shadows of the middle-class family. Red is the Tethered of Adelaide and says to her in a dry, croaking voice, “Once upon a time, a girl had a shadow. The two were tethered together. The shadow hated the girl.” Red clutches a pair of giant gold scissors, symbolic of her mission to cut the tether, kill Adelaide and be free. In Us, the bloody battle between the families is, for all its bone-crunching and neck-stabbing gore, meant to do one thing: reassert middle-class supremacy. Adelaide is the main protagonist, and it is through her eyes that the film’s “gaze” is set. We see through her flashbacks, her panicked stare and her rage. Beyond her, the film’s “gaze” shifts to the other Wilsons, say Gabriel or Zora or Jason, as they kill their Tethered. Identifying with the Wilsons means identifying with the middle-class “gaze” that sets the stakes for each fight. What threatens them, threatens us. What saves them, relieves us. No wonder as they struggle, each Wilson grabs a middle-class object. Gabriel wrestles with his doppelgänger on a boat he rented to show off. He turns on the engine to shred it. Jason takes hold of a New Age crystal sculpture to bash in a Tethered, and Adelaide wields a fireplace poker like a medieval sword. The Tethered do more than smile and kill; they demand recognition. Holding hands, they form lines across cities. Gabriel looks agape and asks, “Is it performance art?” It resembles a Black Lives Matters protest, which lends the Tethered a strange morality. They’re monsters, created by the state to control real people, now demanding full citizenship. The Wilsons look like inheritors of privilege as their other halves, languished in a pain-filled, phantom world. Doppelgängers are a way for us to reconcile with the repressed parts of ourselves and our body politic. Peele’s Us picks up the baton from other moments in Black culture, where the double was an instructive reflection of our hypocrisy. One example of a class-based doppelgänger was in 2011. Rhodes Scholar and White House Fellow Wes Moore published a book called The Other Wes Moore: One Name, Two Fates where he followed up on the life of another boy in his neighborhood named Wes Moore, who unlike him, became a convicted murder. Another, of all places, was “Family Matters,” where Steve Urkel’s cousin, Original Gangster Dawg, visits, and hijinks ensue. The goal of these stories is to point out how a change in zip code determines one’s life. Yet almost always, the split between “us” and “them” ends with a stronger middle-class identity, purged through a violent catharsis of doubt. Usually it happens when they get “gangsta” themselves and embrace their repressed parts in an act of revitalization. Peele’s Us is no different. The second time when the middle-class gaze breaks is the climactic fight between Red and Adelaide. Red dragged Jason into her subterranean world. Adelaide searches for him, fireplace poker in hand, and attacks Red, who calmly sidesteps the blows and tells her about Tethered life. We see the U.S. from her viewpoint — a society blissfully ignorant of the suffering of the invisible. Soon after, Adelaide kills her and leaves with Jason. In the ride out of Santa Cruz, Adelaide has one final flashback, and we see again her as a child, staring at her Tethered in the mirror, who grabbed her, tied her to a bed, took her clothes and left to replace the “real” Adelaide. In a powerful reversal, we see the film’s central gaze belonged to a Tethered who “passed” into the real world. Is it possible this reversal exposes the fear Peele said in his interview that he “can’t explain”? Is it that double consciousness torments the Black, middle-class family in Us with internalized racist imagery and also imposter syndrome? Red passed as Adelaide and when the Tethered Revolution began, she trembled in terror of being outed. She killed the other Tethered who attacked the Wilsons to keep her secret. Her reward was that at the end, she successfully integrated into a real family, who will never know, except for a now suspicious son. Maybe Us made $155 million at the box office because it touches our vulnerability that we’re not who we think we are, and we are in fact an accident of birth. All the shadows in our minds are evidence of parallel lives that exist next to this one. Us offers a guilt-ridden, middle-class catharsis. Yes, the Tethered hold hands across the U.S., but the Wilsons are fleeing to a safe zone in a van. Adelaide’s sinister smile tells her son and the audience one thing: As long as no one tells the truth, we can escape. At the 2018 Academy Awards, change was most definitely in the air. 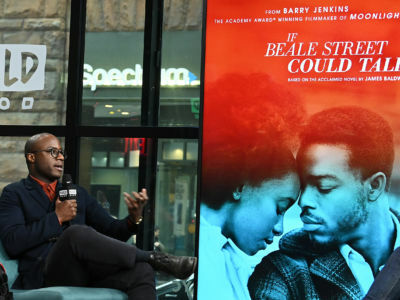 “If Beale Street Could Talk” transforms love into an allegory of Black America’s struggle to survive.